SAVE $$$ when you purchase 50+ kits - see Quantitiy Discount. 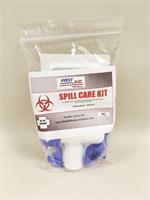 Contains the items needed for use when cleaning up spills of potentially infectious agents. Absorbed liquids are turned into a gel for safe and easy cleanup. A red "Biohazard" bag is provided for proper disposal. 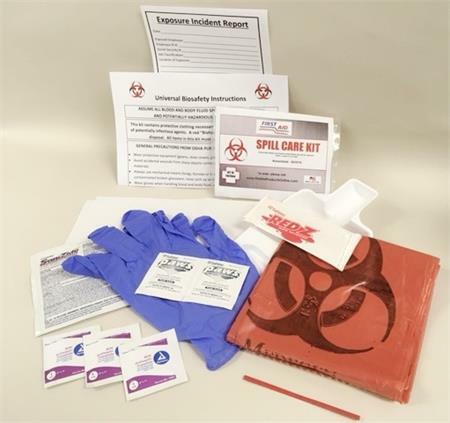 * All items in this kit must be discarded after use. 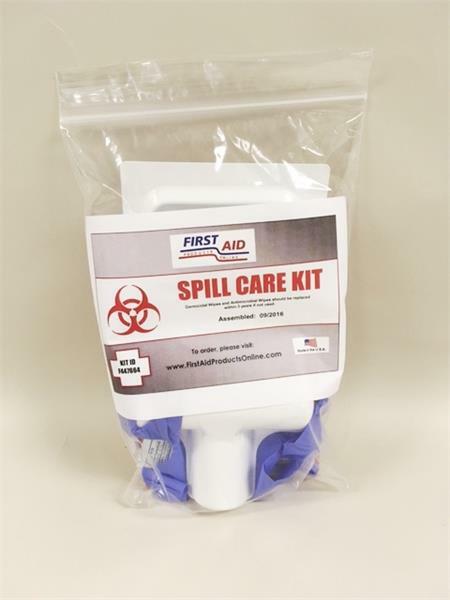 Contents are in a zip lock plastic bag, making it ideal for the classroom, day care center, and any other place where spills can occur.